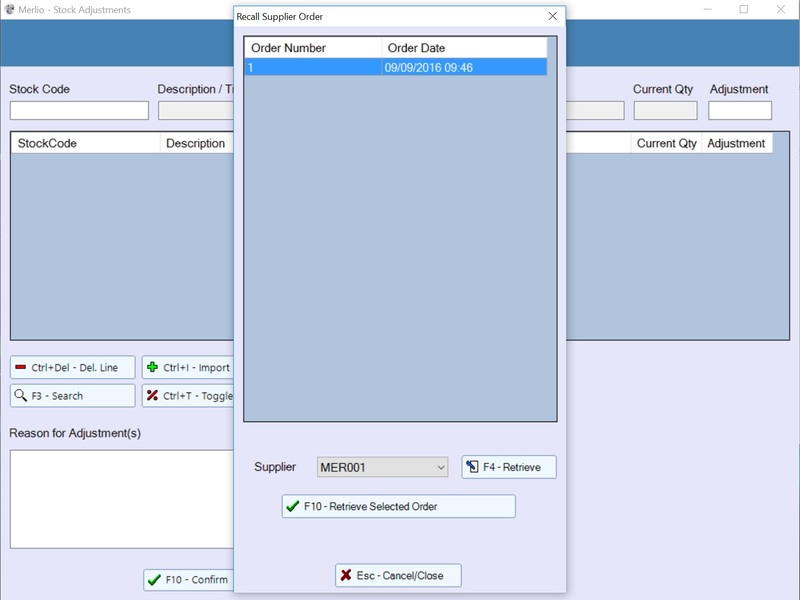 Merlio Express includes a simplified ordering process, allowing you to control and order the stock that you require, but without the complexity or extra features offered by the full Merlio.NET product. Straight from the Supplier Editor you can place an order. The products attached to that supplier are automatically displayed and can be selected easily for ordering. This list can be filtered to show only products that have sold in the last 3 months. The orders are stored, and can be printed or directly emailed to the supplier. On arrival, the stock can be brought into the system by simply recalling the order via the Stock Adjustments screen. 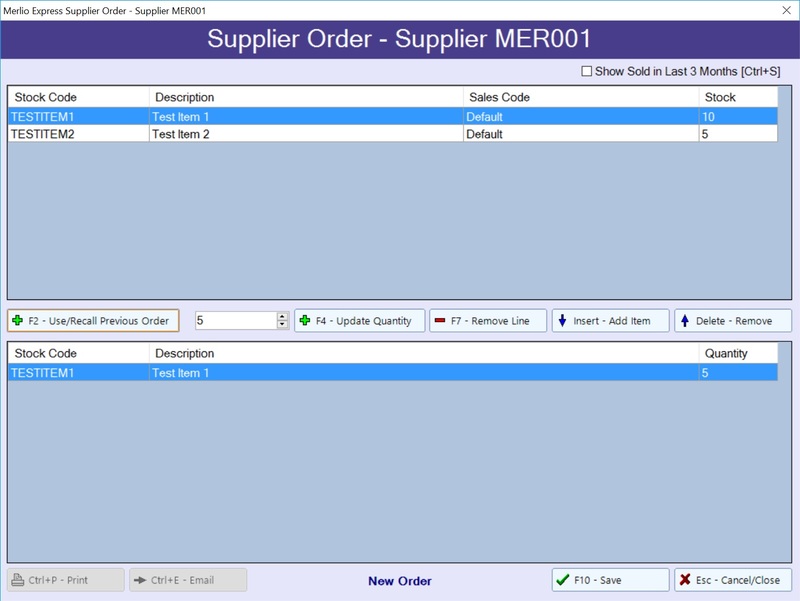 If you require more complex ordering, such as Recommended Orders, choices of Reorder Methods or full Goods In Control, then check out the Supplier Orders section of our Merlio.NET product. Copyright © 2019 Merlio Retail Systems. All rights reserved.